Shop online for 32 tsds plastic models at discounts up to 46%. 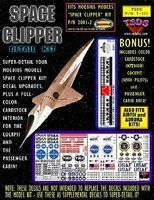 This is the 1/190 Scale Space Clipper Orion Decal Set & Color Fold-Up Interior for MOE Science Fiction Plastic Model Decal by TSDS. This is the 1/35 Scale LiS- Jupiter 2 Spaceship Decal & Vinyl Set for MOE 18'' Model Science Fiction Plastic Model Decal by TSDS. 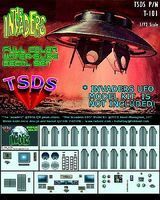 This is the 1/72 Scale The Invaders UFO Decal Set Science Fiction Plastic Model Decal by TSDS. 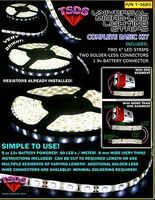 This is the Universal Micro-LED Lighting Strips Complete Basic Kit Science Fiction Plastic Model Decal by TSDS. 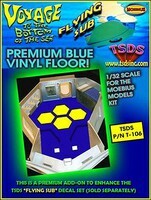 This is the 1/32 Scale Flying Sub Vinyl Floor Upgrade Kit for MOE Science Fiction Plastic Model Decal by TSDS. This is the 1/50 Scale Moon Bus Decal Set for MOE Science Fiction Plastic Model Decal by TSDS. This is the 1/350 Scale Seaview Submarine Color Fold-Up Interior for MOE Science Fiction Plastic Model Decal by TSDS. This is the 1/350 Scale Seaview Submarine Decal Set for MOE Science Fiction Plastic Model Decal by TSDS. This is the 1/64 Scale Land of the Giants Spindrift Decal Set for Aurora/PLL Science Fiction Plastic Model Decal by TSDS. This is the 1/32 Scale Flying Sub Decal Set for MOE Science Fiction Plastic Model Decal by TSDS. This is the 1/60 Scale LiS- Jupiter 2 Spaceship Decal Set for PLL 12'' Model Science Fiction Plastic Model Decal by TSDS. This is the 1/72 Scale Forbidden C57D Starcruiser Decal Set for PLL Science Fiction Plastic Model Decal by TSDS. This is the 1/128 Scale Seaview Submarine Decal Set for MOE Science Fiction Plastic Model Decal by TSDS. 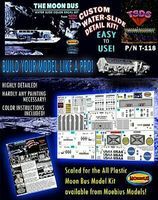 This is the Generic Sci-Fi Diorama Decal Set- Greebles, Panels & Markings (8x10 Sheet) Science Fiction Plastic Model Decal by TSDS. 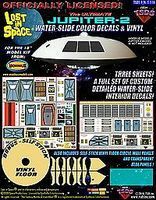 This is the 1/24 Scale LiS Space Pod Decal Set for MOE Science Fiction Plastic Model Decal by TSDS. This is the 1/35 Scale LiS Jupiter 2 Spaceship 18'' Interior Diorama Film for MOE Science Fiction Plastic Model Decal by TSDS. This is the 1/128 Scale Mini Flying Sub & LiS Robot Decal Set for MOE Science Fiction Plastic Model Decal by TSDS. This is the 1/8 Scale Invisible Man Decal Set for MOE Science Fiction Plastic Model Decal by TSDS. 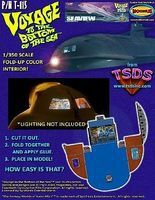 This is the 1/128 Scale Mini Flying Sub Color Fold-Up Interior for MOE Science Fiction Plastic Model Decal by TSDS. This is the 1/24 Scale LiS Chariot Decal Set for MOE Science Fiction Plastic Model Decal by TSDS.